Some reflections from Eastern Canada, where I’ve been speaking about Sandy while thinking about Katrina. On the Earth Institute’s State of the Planet blog. 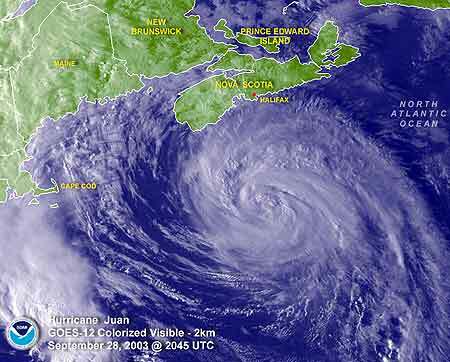 Below, an image of Hurricane Juan approaching Nova Scotia in 2003.